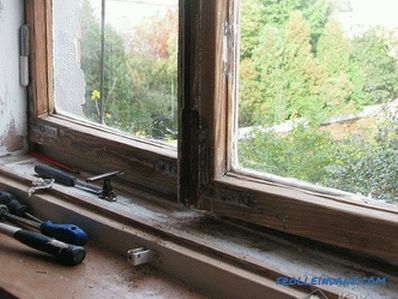 If you still have wooden windows in your house that you have not yet replaced with plastic for any reason, then it is quite possible that you were already interested in how to repair wooden windows. 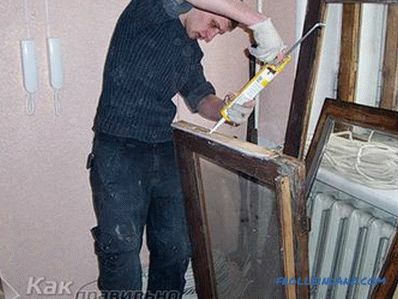 Such "self-service" will not just come out cheaper than inviting a specialist, a good master glazier, who agrees to tackle your old window, is very difficult to find today. In severe cases, the resuscitation window is not subject and it will be much cheaper to replace it with a new plastic window. 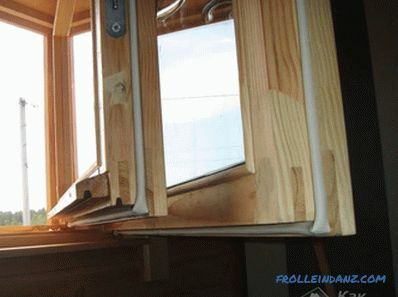 Repair of wooden windows made to perform at the beginning of summer, when the air temperature in the street approaches 20-22 degrees and, by opening the window, you will not wind up your apartment or room in the house. Usually, repair is more like a complete window restoration, although most of the operations listed below can be performed separately (as the need arises). 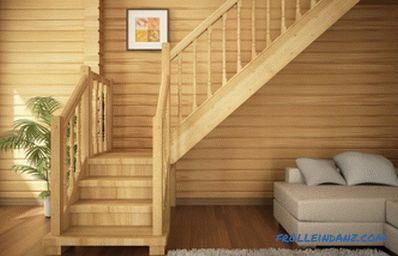 Repair begins with the removal of paper, strips of cloth, cotton wool or old rubber (foam rubber) window sealers, due to which cold air did not penetrate into your room in winter through cracks in a wooden window. After that, the window surface should be thoroughly cleaned and let it dry (30-40 minutes). 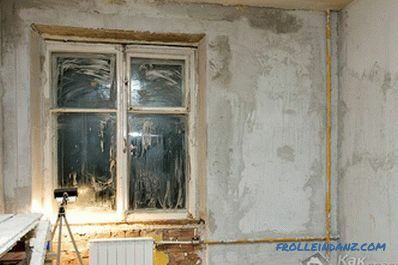 Using a spatula, remove the exfoliated paint from the window. Carefully rub the sandpaper minor irregularities (drips) left over from the previous color of the wood. Do not forget about the window sill. With a special putty (with antiseptic) gently align the window surfaces (it is convenient to apply putty with a rubber spatula). 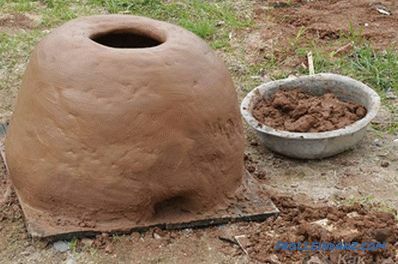 Wait until the putty has completely dried. Paint over the edge of the glasses adjacent to the surfaces you are going to paint. Paint the window with a brush. Remove the masking tape. If there are drops of paint on the glass in some places, wipe them off with a cloth moistened with a solvent. Mark each of the removed flaps by writing a serial number on it and on the adjacent window frame part. Gently remove the flaps from the hinges. Remove all old fittings and flaking paint from the casement and frame. 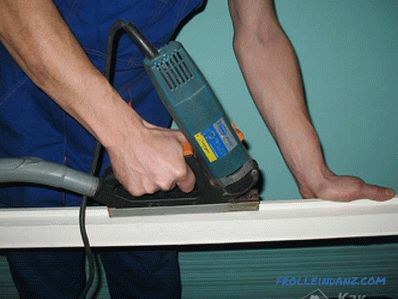 Warming up the window With an electric cutter, cut a thin groove around the perimeter of the leaves. Insert the seal into the groove using the sealer. Use a special blade (it looks like a scraper for cleaning glass in an aquarium) to clean the edge of the glass adjacent to the wooden cover. Go through the same places with a silicone sealant from a building gun. Install the new fittings, also treating the holes with a sealant (fit the fittings onto the liquid sealant so that it takes the desired shape). Remove excess (still liquid) sealant. Punch counterparts of locks (window handles) into the window box. Putty on the window surface irregularities. Paint the window. 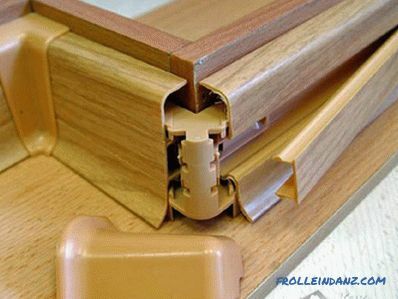 As an option, the groove for the seal can be cut not in the casement, but in the window box. 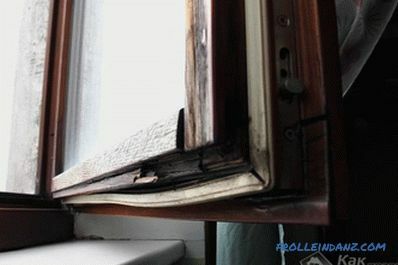 Often window sashes begin to loosen after years of age in the corners where the horizontal and vertical elements are connected. To fix this problem, you will need simple flat metal corners. Using screws, fasten them to the corners of the leaf (from its inside). After fixing the problem, you must check the evenness of the corners (they should all be at 90 degrees). Make sure that the flap really slipped and not swollen under the influence of water (at the top between the sash and the box should be a gap). Remove the leaf from the hinges. 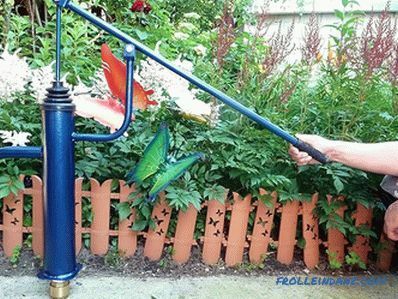 Place a small washer on the bottom of one hinge (on the window box) (it can be put on both hinges or only on the top hinge). Check how the sash closes (you may have to put another washer or replace it with a thinner one in order to achieve an optimal result). If the shutter only touches the window box with its slightly lower part, it will be enough to smear it with wax (a regular candle). 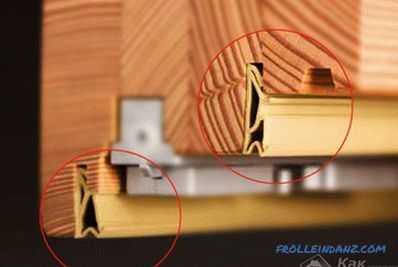 Sometimes “extra” holes appear in the wood of a window box or sash (a knot fell out or an old hardware track left and etc.) 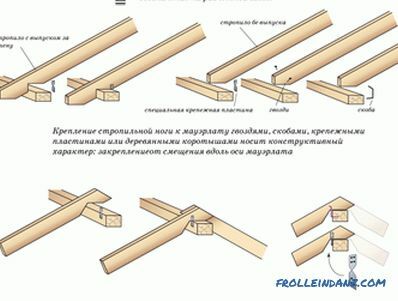 To eliminate such a defect, cut a chopik of a suitable size from a piece of wood and carefully drive it into the hole, after having first smeared it with glue. Cover and zashpaklyuyte repair place.